Senshi Minus One Reunite With Naoko! 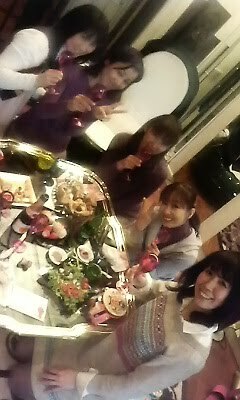 Aya Hisakawa, Rika-chan Fukami, Michie Tomizawa and I had a wonderful lunch with Naoko Takeuchi! Do we ever get tired of talking about Sailor Moon? Mitsuishi was in the best spirits after all that champagne and wine! 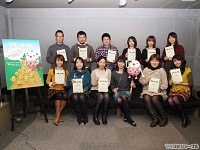 Kotono is so cute – and this is definitely a rare look inside Naoko Takeuchi’s house! It sure looks pretty regal to us – we wonder if she themed her house to be Princess Naoko’s palace? Did Yoshihiro Togashi take this photo? The Seiyuu Also Invaded a Shopping Arcade! The Shinmachi Shopping Arcade to be exact! The Machi★Asobi Vol 2. Exhibit opened in the arcade in January, featuring all sorts of anime and manga memorabilia from drawings, to autographs, and costumes. 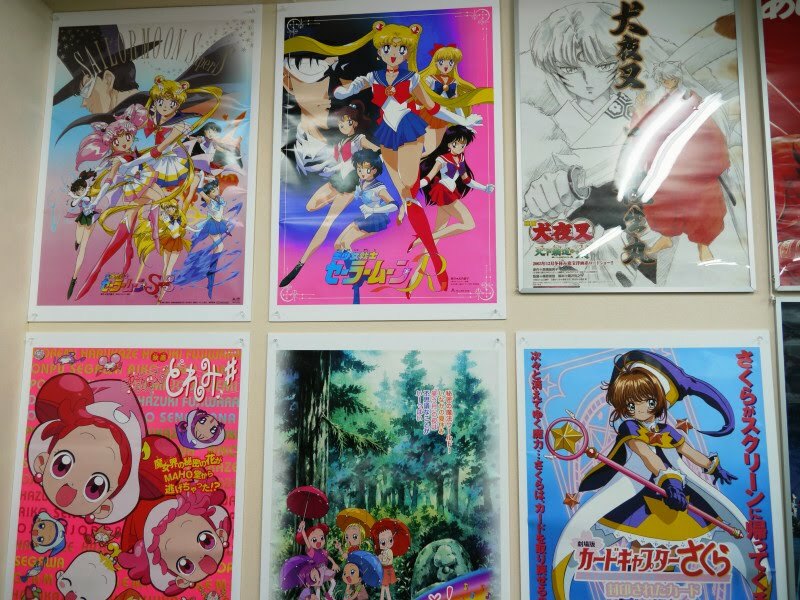 Some of the seiyuu involved with Sailor Moon had autographs that were featured in this exhibit, and they included: Michie Tomizawa, Rika Fukami, Mika Doi (Queen Serenity), Emi Shinohara, the late Kaneto Shiozawa (Prince Diamond), and Megumi Hayashibara (Himeko). 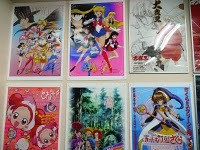 Some Sailor Moon movie posters were also featured as part of the exhibit. To see more pictures, click here! Kotono also appeared at a special press event for Kokkeko-san a little over two weeks ago with the entire cast of the show (she is front row and center, holding the Kokkeko-san doll). This article features an interview with them, and Kotono had a lot to say about her role! She spoke about how Kokkeko-san is a lovely mother who just wants the best of her kids, and just like many other mothers, has to deal with a husband who doesn’t always help her. She thinks that this is a great cartoon for mothers and children to bond to watching it together. She enjoyed and sympathized with this role, being a mother just like Kokkeko-san! All of the cast also wished that they had moms like Kokkeko-san! Kotono ended the interview saying how much she loved the arts, and asked for all mothers to watch it with their children. Emi Shinohara Plays Piano For Peace! Besides using the power of thunder to save the world, did you also know that Sailor Jupiter plays the piano? This is one of many talents listed on her official agency profile, and we were a little surprised to learn of this sighting! There is a piano that has traveled all over Japan, and is known for being a symbol of peace. This piano survived the bombing at Hiroshima, and has a very interesting story behind it (and we can even share it with you in English)! On January 23rd, a special concert was held at the Cultural Information Center in Hanoura, Anan City, in Tokushima, Japan. The piano still holds small amounts of radiation and shards of glass throughout its lacquer, but the piano tuner who restored it (Mitsunori Yagawa) commented that those who hear how good the piano sounds, they cannot tell that it was part of such a horrific event. Emi Shinohara accompanied singers at this concert which played to an audience of 300. This piano is one of four pianos which survived the bombing, and a different one that Yagawa has restored will be making its way to New York City later this year to mark the 9th anniversary of the September 11th attacks and International Day of Peace. There was even a special part of the concert where some very talented 7th graders played the piano as well. 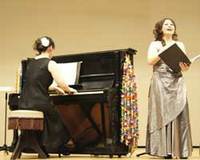 We have featured an image of Emi Shinohara accompanying soprano Miki Furumoto above. Hear Sakura Tange in Video Games! 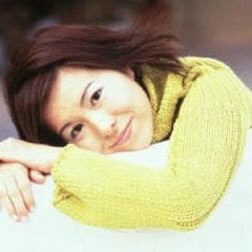 Sakura Tange is probably most famous for playing Sakura in Card Captor Sakura, and well known for singing that show’s theme song. She also had a small role as Miharu Akiyama in episode 139 of Sailor Moon SuperS. Fans of Sakura can hear her voice in two video games this month! The first is Fate/Extra, where she plays Saber, the lead female warrior. This was not met without controversy as she is playing a role once played by Ayako Kawasumi. Fate/Extra is the fourth game based on the popular Fate/Stay Night series. The second game that fans can hear her in is Konami’s Love Plus Valentine, which was just released last week. She plays Rinko Kobayakawa, a first year high school student. This game is a dating sim that is all about being in love when you are in high school! Part Two will be posted a little later this week!